Welcome to AFCISafety.org! 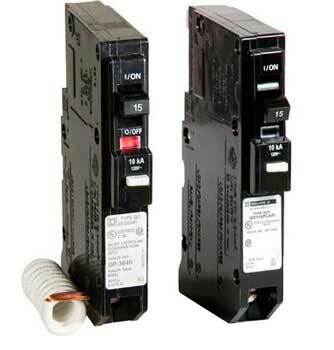 This site is dedicated to providing the most comprehensive factual information on Arc Fault Circuit Interrupters and is supported by the National Electrical Manufacturer Association Low Voltage Distribution Equipment Section, comprised of AFCI manufacturers. According to a 2017 National Fire Protection Association report, between 2010 and 2014, U.S. municipal fire departments responded to an estimated annual average of 45,210 home structure fires involving electrical failure or malfunction. These fires caused annual averages of 420 civilian deaths, 1,370 civilian injuries, and $1.4 billion in direct property damage. Thankfully, over the past decade, fires and fire deaths in general have declined by around 20%, per the U.S. Fire Administration. The numbers dropped to 1,240,000 fires in 2013. This decline is credited to greater fire safety awareness and response, better construction materials and new fire prevention technologies like arc fault circuit interrupters (AFCIs). In 1992, the U.S. Consumer Product Safety Commission (CPSC) contracted with Underwriters Laboratories (UL) to provide research and evaluation of products and technology that could help reduce the likelihood of residential fires. UL identified an electrical hazard called “arcing faults” that could lead to the ignition of a fire as one possible cause of residential fires. Situations creating these arcs included appliance defects or misuse, incorrectly installed wiring, or misapplied extension cords that resulted in electrical hazards. The UL/CPSC information was provided to the electrical industry to create a solution to help prevent these types of fires by detecting arcing faults and shutting down an electrical system before a fire could start. Using this research, electrical manufacturers created an arc fault circuit interrupter or AFCI. AFCIs received rigorous testing by UL and became a permanent requirement in the National Electrical Code beginning in 1999. AFCI use has expanded over the years from required use in bedrooms to hallways, family rooms and dining rooms, to kitchens and laundry rooms. All while protecting the public from electrical fires. AFCIs are currently required in the electrical code in 48 states. Useful AFCI safety information, plus a helpful guide to keeping your home safe from electrical fires. Free UL Training Course, state code adoption, updated info on AFCIs. AFCIs are making news nationwide. Find out the very latest here.